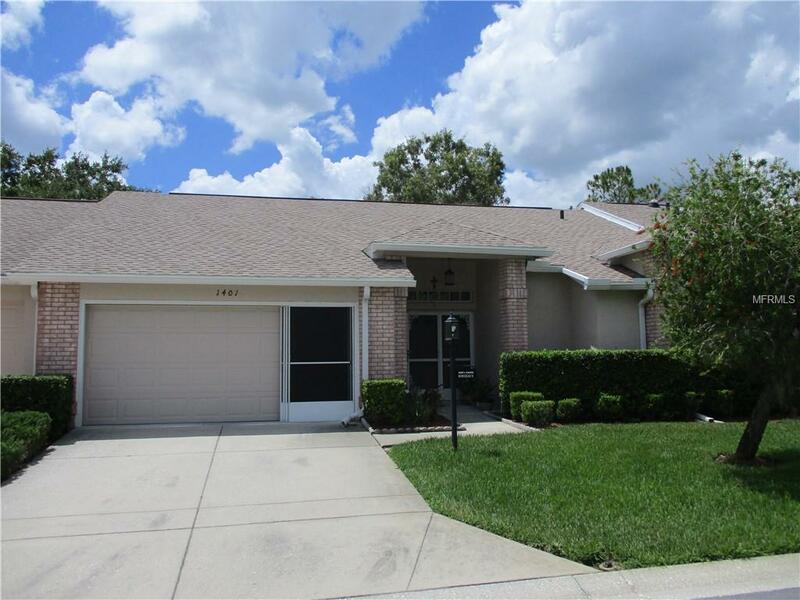 Timber Pines, a gated, over 55, golfing community situated in Western Hernando County. With so many activities and clubs, including it's own performing theater, join in as much or little as you like. This is a two bedroom, two bath, two car garage maintained villa with almost 1900 SF of living area! This ''village'' has it's own pool although you have access to the other community pool. This is also a ''no dog'' village and ''no pickup trucks overnight on driveway.'' Timber Pines has a one-time ''buy-in'' fee of $1500.00. ReRoof 7/2016, Garage door 8/2016.